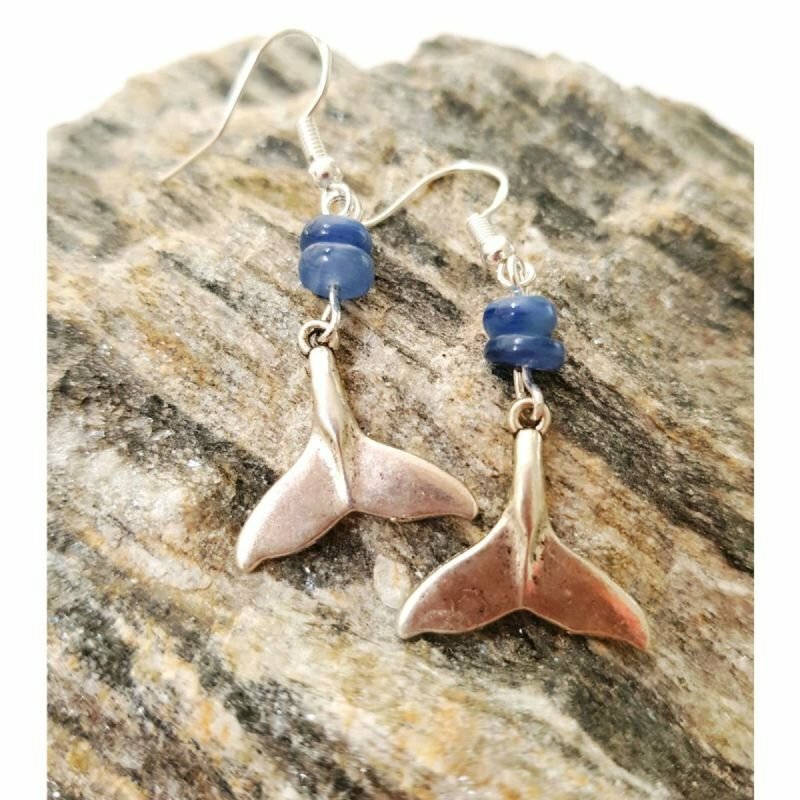 This are a pair of lovely fish tail earrings, the tails are silver toned and I have attached blue kyanite beads to give the idea of the sea, they are finished with 925 silver hypoallergenic hooks. Kyanite alleviates stress and anxiety and also promotes restful sleep! If you would like a fishtail necklace or a bracelet please get in touch!